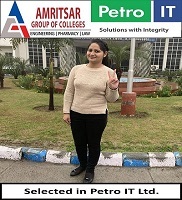 Amritsar Group of Colleges (formerly Amritsar College of Enginering & Technology, Amritsar) commenced WIPRO Drive at its campus on December 18, 2018 where 9 students got selected from 2015-2019 Batch. The company shortlisted the students on the basis of an aptitude and mental ability test. The shortlisted students were then interviewed. Students have bagged an initial Pay Package of INR 3.50 Lakh per annum. 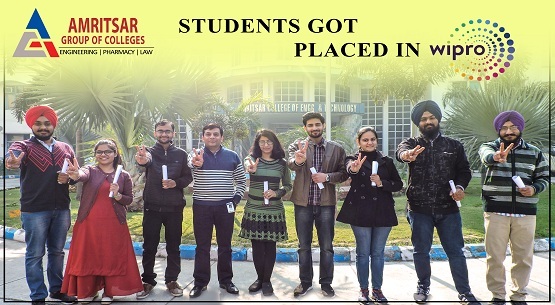 Names of the selected students are Davinder Singh, Prerna Sharma, Kamaldeep Singh, Manisha Kundra, Abhilash Aggarwal, Navneet Kaur, Punitpreet Singh, Panav Beri, Ansh Dhingra (all B.Tech. Computer Science & Engineering Branch). 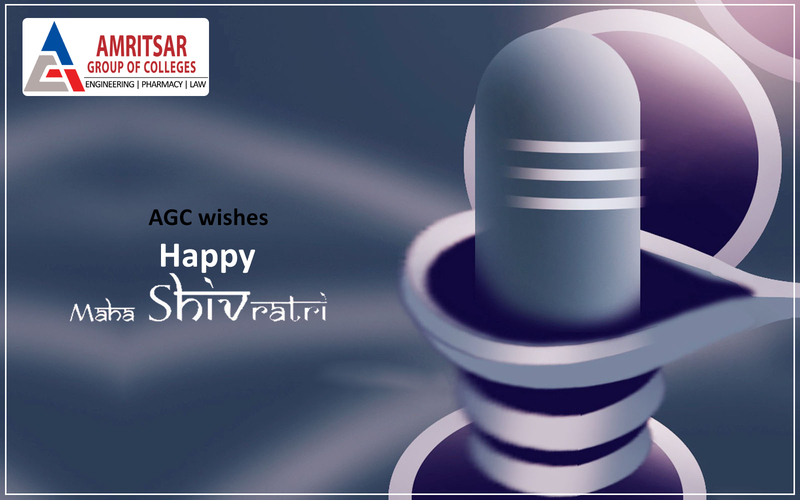 Hon’ble Chairman and CEO, AGC- Amritsar, Advocate Sh. Amit Sharma congratulated the students and their parents. 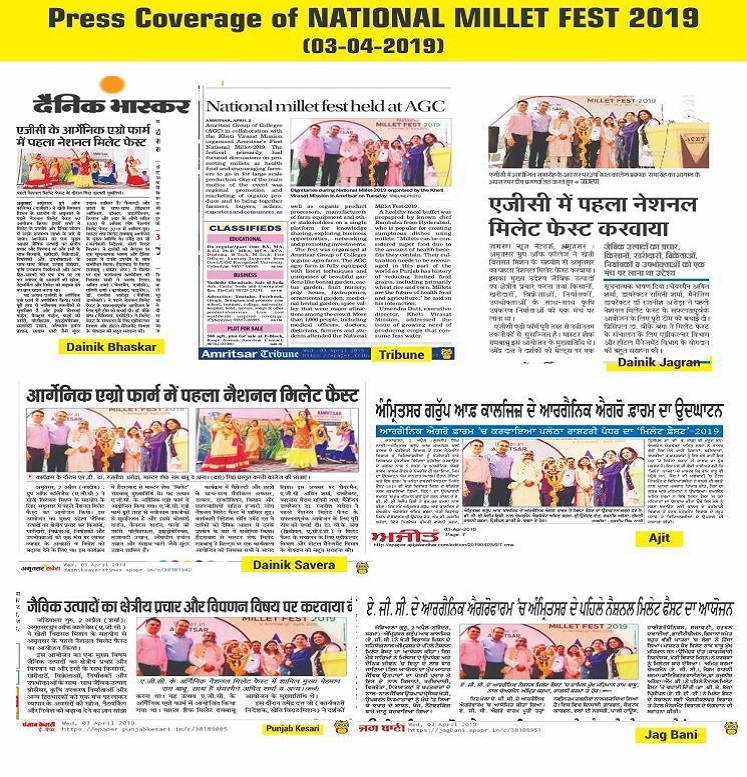 They said that the foundation stone for their successful future has been laid and the College is very proud of its brilliant students and will continue to support them in their studies as well as their career. Madam Ragini Sharma (Director Finance) appreciated the sincere efforts and said that making students job-ready are our main focus. 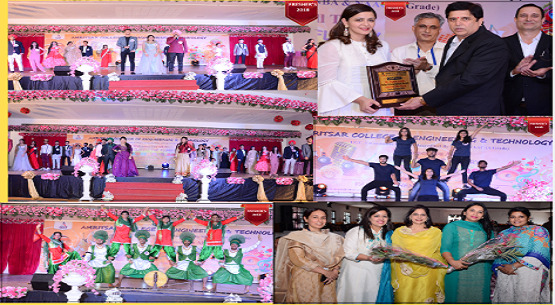 Congratulating the successful students, Managing Director, Dr. Rajneesh Arora said, “We are proud of our students. 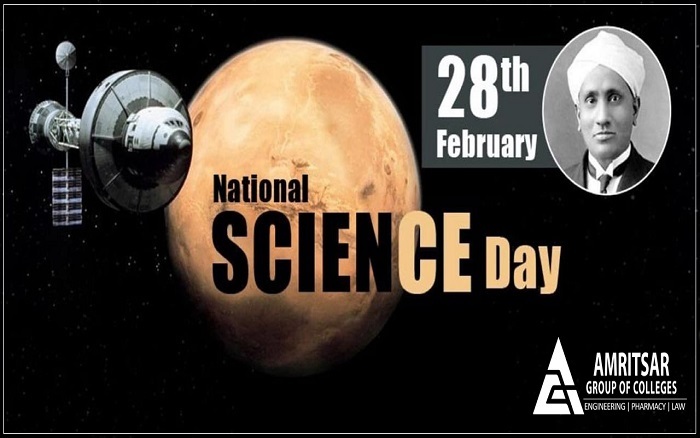 Given their exposure to industrial processes and their specialized knowledge in core engineering subjects, they will surely make a mark for themselves in their respective careers.” He added, "ACET teachers and allied staff members are working hard to enhance students' employability and entrepreneurial skills. 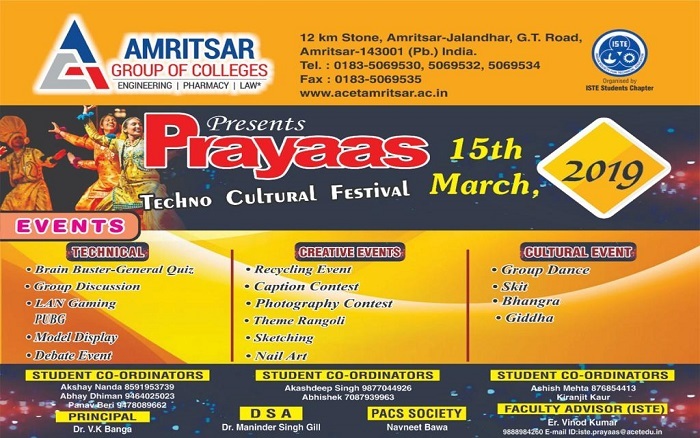 Comprehensive pre-placement grooming classes; regular workshops for exchange of information and creating awareness about the emerging trends; important guest-lectures by industry experts and more of such endeavours are made to let students know high-tech tools and licensed software. 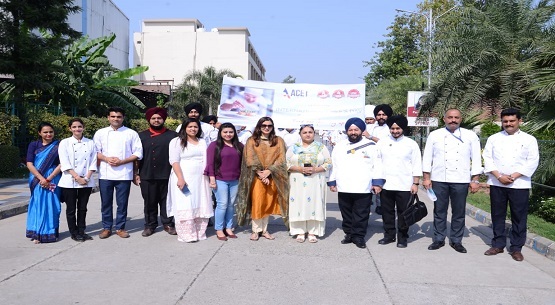 Principal Dr. V K Banga Sir congratulated the selected candidates and wished them a successful life ahead. He said “Students need to utilize the opportunity they are getting and excel in the competitive world and should be a resource for the college as well”. Dean Campus Placements, Mr. Rakesh Jaitely congratulated the selected students and said that many companies will visit the institute in near for Campus Placements during this session such as Amazon, Sopra Steria, TCS, ITC, AON, Edureka, BYJUS, and Bridgestone etc.